Doctor Louis Creed (Jason Clarke) and his family – wife Rachel (Amy Seimetz), 8-year-old daughter Ellie (Jeté Laurence) and toddler Gage (Hugo and Lucas Lavoie), move from Boston to a 50-acre property in rural Maine for a simpler life. It could be even simpler without semis barreling down the road at 65 mph or the creepy pet cemetery on their property where the locals bury their deceased animals. Their Realtor must’ve been quite shrewd. They also have a neighbor within 100 yards, kind old widower Jud (John Lithgow), whom Ellie takes to quickly. When Ellie’s beloved cat Church is killed by one of the semis, Jud takes Louis to a mysterious spot in the woods beyond the pet cemetery, past spindly trees with ominous markings, to bury him. A haggard Church returns the next day, sporting a droopy eyelid and a terrible attitude. When a more serious tragedy befalls the Creeds, a grief-stricken Louis tests the power of the forest again, with predictably terrible results. Clarke’s transformation from pragmatic doctor who discusses death with his 8-year-old with matter-of-fact logic to devastated family man banking on supernatural forces to remedy his grief, is subtle to the point of completely losing significance. In this version of the script, Louis is a husband and father who acts the way he does only to advance the plot, not because he’s overwhelmed or has had his belief system shattered. Rachel’s hang-ups with death and guilt are also muted this time around. 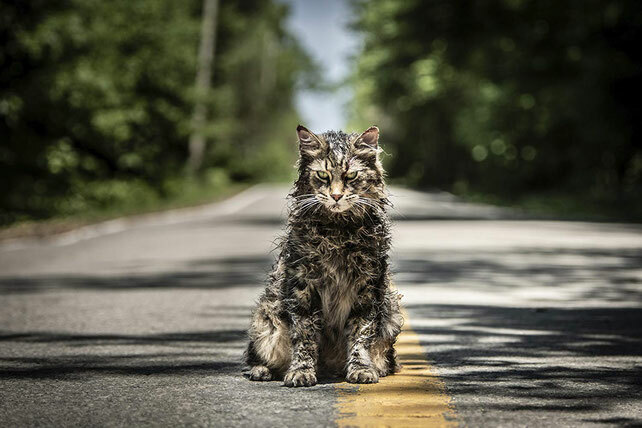 Trauma from a childhood spent caring for bedridden sister Zelda, who suffered from spinal meningitis and parental neglect, is left to a few brief flashbacks that lack the nightmare fuel of the novel or Pet Sematary ’89. Seimetz does a fine job of exuding a constantly fluctuating level of anxiety as upsetting memories emerge, but like everything else in this movie her unease is fodder for quick jump scares and shallow, if twisted, emotional release. Lithgow’s deliberate cadence, and bushy white beard, give Jud a certain gravitas, while the speaking rhythm and mannerisms of the climactic menace fail to be spine-chilling and somewhat undercut the shocking acts of violence. The changes from the source material provide some opportunity that’s not realized. Without enough for the human actors to chew on, the most memorable brooding by far comes courtesy of the four cats that play Church. The feline as a harbinger of doom works; the actual doom and gloom just fail to materialize. This flat, lifeless version of Pet Sematary is one destined to remain harmlessly buried in the psyche.